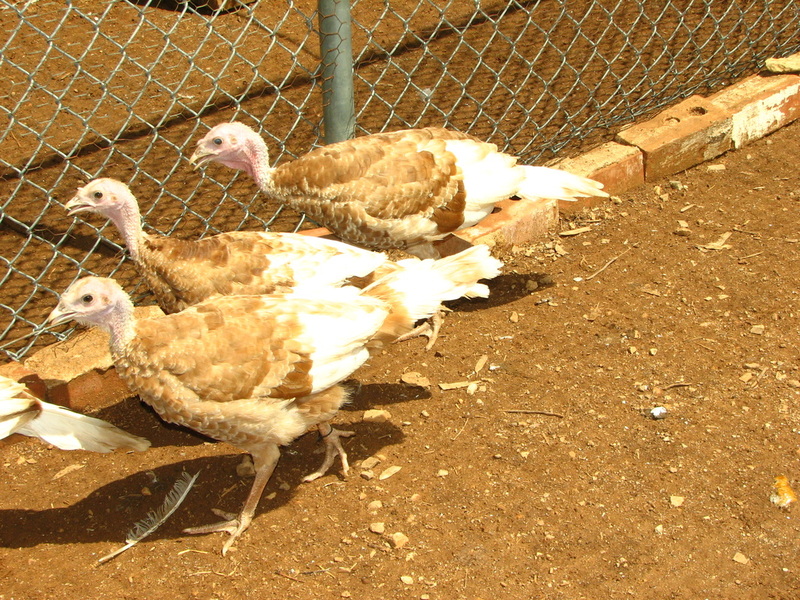 The Bourbon Red is an old variety, having been admitted to the American Poultry Association Standard of Perfection in 1909, and the correct name is Bourbon Red, not Red Bourbon. 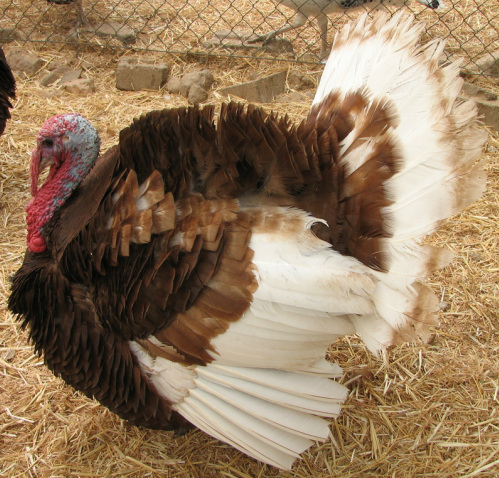 The deep red chestnut color with contrasting white on tail and wing flight feathers make this turkey a favorite. In addition to it’s beautiful coloration, the Bourbon Red came in second in an independent, blind taste test of 8 heritage turkeys and a commercial turkey. 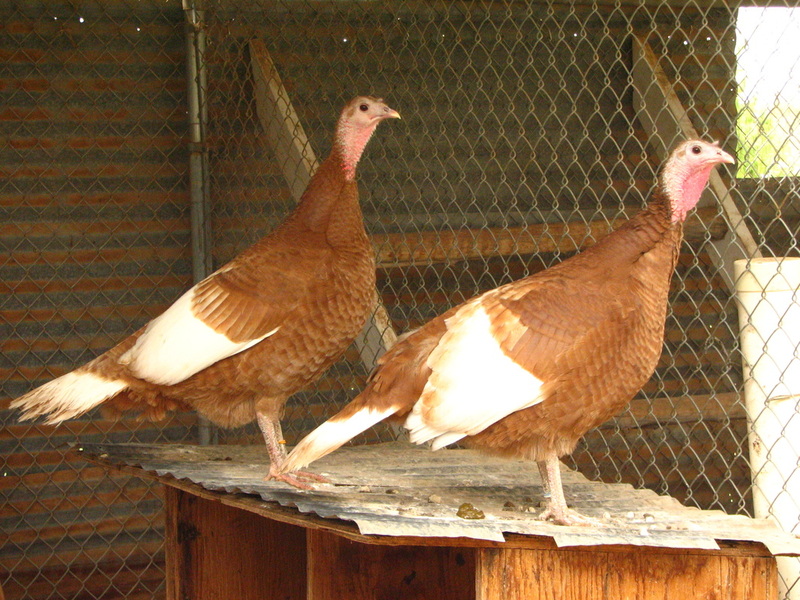 Ideally, the tail feathers of a Bourbon Red are all white with a light red band crossing each main tail feather near the end. 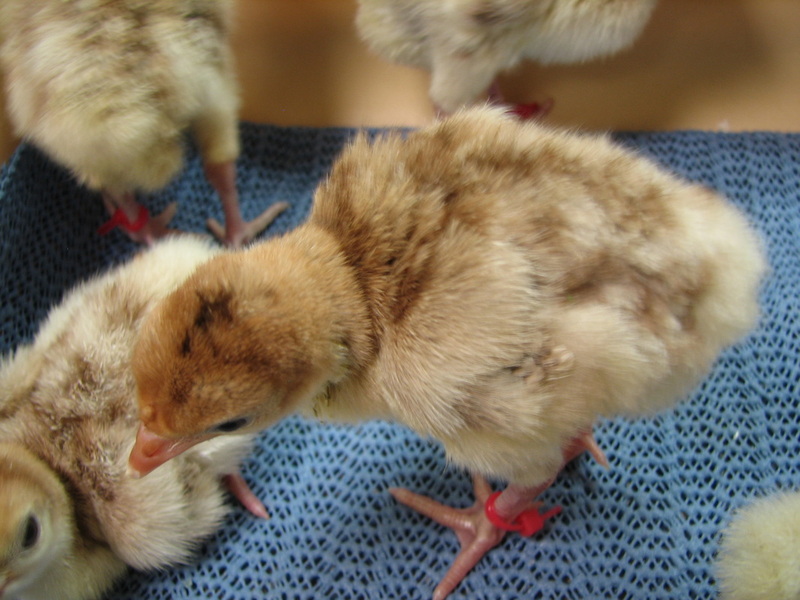 More than one third of the tail feathers being red is a disqualification when showing this variety. I have seen many Bourbon Reds with this fault and I maintain breeding stock which is correct in this regard. 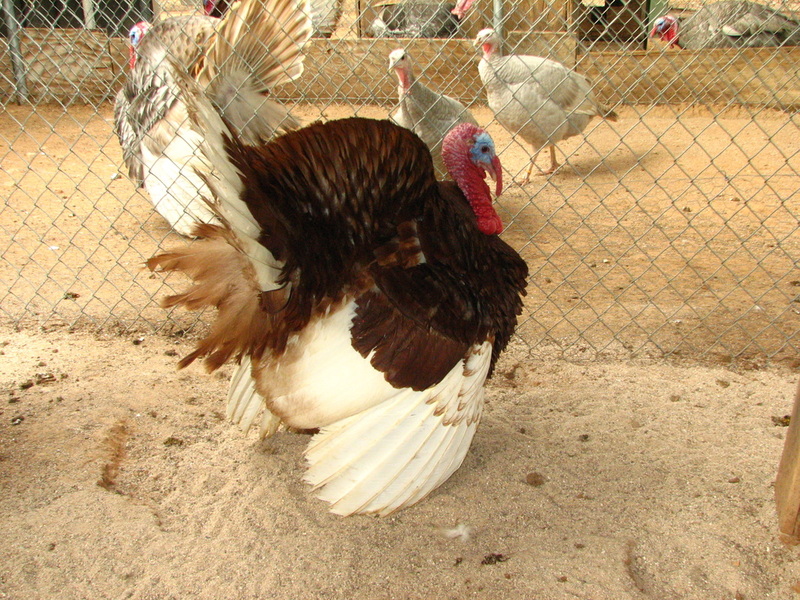 The Bourbon Red, along with the Royal Palm, were my first turkeys. Unfortunately I had too many problems with the bloodline of Bourbon Red I started with and after several years being without this wonderful variety, I am back in business with this variety. The Bourbon Red is a true breeding variety, basically a bronze with two red genes.